Place des Arts literary arts programs introduce burgeoning young authors and illustrators to the craft of storytelling and help more experienced writers and illustrators hone their skills. Registration for literary arts classes may be done online, by phone at 604.664.1636, in person at Place des Arts, 1120 Brunette Avenue, Coquitlam starting Sunday, June 11, 2017. Through a combination of group and individual activities, explore a wide range of writing styles and techniques, including narrative, poetry and creative non-fiction. Then, experiment with different illustration techniques and take a closer look at how drawing and writing can be combined to generate thought-provoking and beautiful pieces of art. 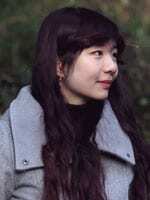 Janice Liu is a children’s comic creator, illustrator, and educator. She is the artist of the bilingual comic Chicken Soup & Goji Berries 中药鸡汤, and her comic shorts have appeared in Wayward Sisters: An Anthology of Monstrous Women, New Moon Girls, and Augur magazine. Her work is often about exploring diasporic identity and the inner world through fantasy. Janice was born in Ottawa and currently lives in Burnaby where she teaches at Young Artists’ Place. She has been teaching art for children and teens since 2013 and has delivered various art and comic workshops at schools and libraries, including Burnaby Public Library and the Dr. Eric Jackman Institute of Child Study at the University of Toronto.